Overwhelmed by the daily needs of the homeless, several local pastors and leaders began meeting in Fall 1993 to discuss the realities, dilemmas, and needs of these members of our community. Out of those meetings came a conviction that creating an organization focusing specifically on the homeless and their needs was critical. 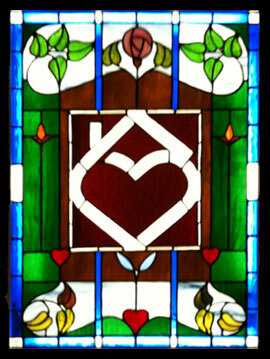 Compassion Ministries was incorporated in May 1994, and a 20-member board of directors was established. When grant funding became available in September 1994, Compassion Ministries provided a resource center linking the homeless with existing resources in Waco and providing assistance with rent and utilities to help people stay in their homes. McLennan County provided a large two-story house with five bedrooms, and in 1995 Compassion Ministries began housing homeless families and homeless women. In March of that same year, Compassion added a shelter for single men when a local foundation funded repairs on the garage apartment in back of the main house. From the beginning, Compassion Ministries has provided case management and referral services aimed at reintegrating homeless individuals and families – as well as those on the verge of homelessness – into permanent housing and employment. In accordance with our mission, Life Skills and Co-Partners Employment and Budget Skills were added as new components to the program in 2000. Compassion Ministries moved to a new level in June 2001 when we began construction of Hope House, our new transitional housing facility, which was completed and opened for residents in June 2002. The facility features 10 one-bedroom apartments and two, two-bedroom apartments. Currently, all fourteen units are designated for homeless families. Although Hope House doubled our capacity from 26 to 52 beds, within days of opening, all family units were occupied and there was a waiting list of four families. We added more room in May 2004 with the completion of Hope House Too, a duplex for two additional families, bringing our total capacity to 60 individuals. These residents are served by our staff of three full-time, eight part-time employees and dozens of individuals, churches and other community organizations that volunteer time, money and resources.